A brief little interlude from the darkness of the preceding cartoons. 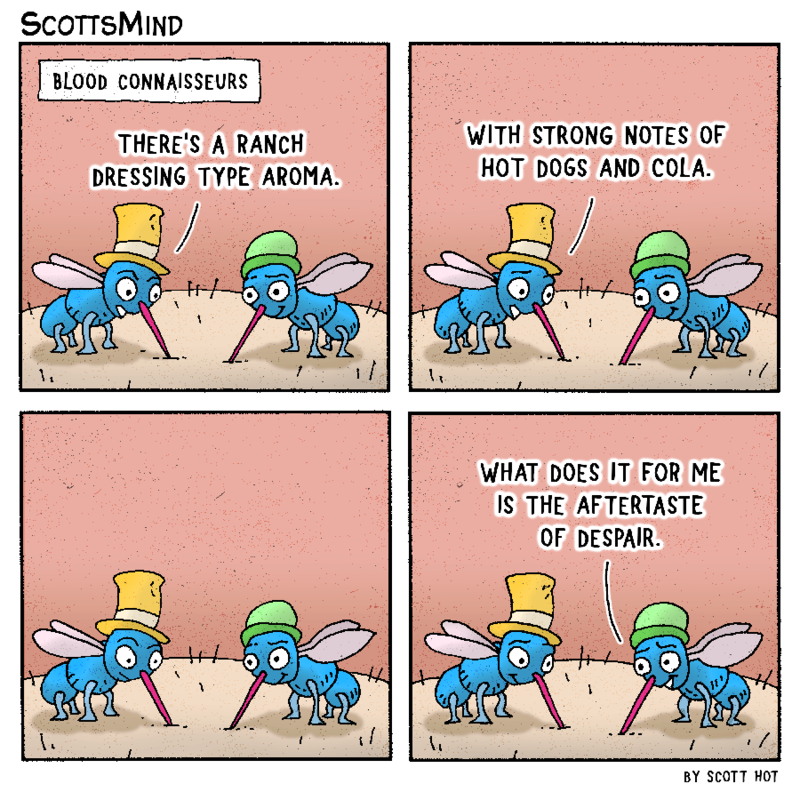 A simple little concept - cute little mosquitoes as sommeliers for blood. One note about punchlines for those interested in writing comedy. 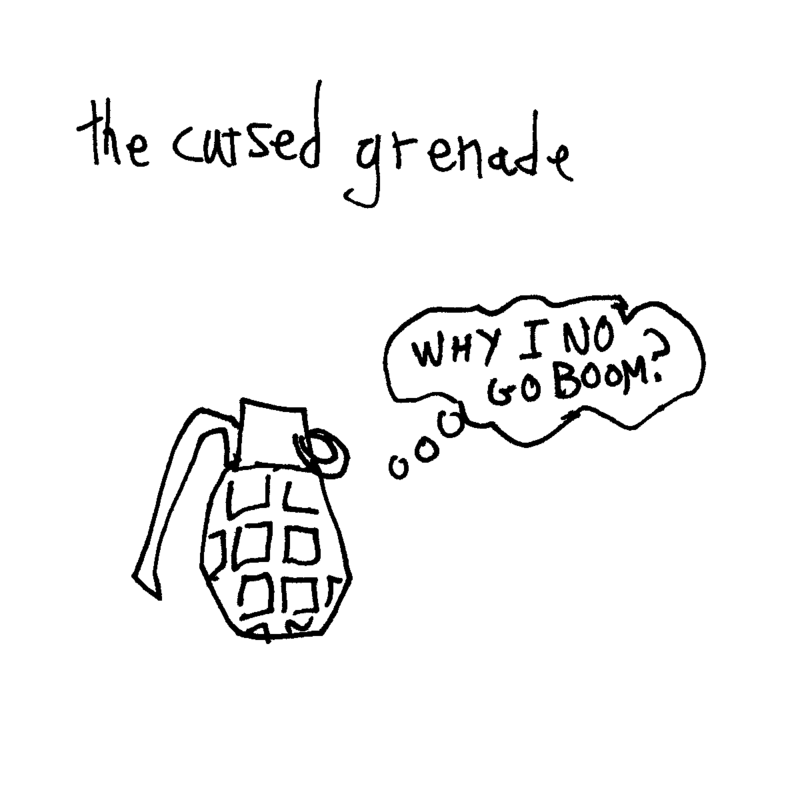 Comedy mainly relies on the element of surprise as epitomized by the punchline. For maximum impact the punchline will fall at the end in a cartoon but the structuring of your punchline itself is also very important in heightening the surprise of the punch. If I wrote the final punchline like this "The aftertaste of despair is what does it for me" I would've lost a bit of the sting by putting the most surprising element ("the aftertaste of despair") at the front of the sentence. Instead you should always try to phrase it so the most surprising element is at the end as in "What does it for me is the aftertaste of despair". As with all things, there are exceptions to the rule but more often than not, it's a good simple way to improve your punchlines.